It’s hard to believe that it’s only been three months since we launched the eero WiFi system to the world. As we continue to improve the product and grow the business, I’m excited to announce that we’ve raised $50 million in new funding, led by Menlo Ventures. Mark Siegel of Menlo will join our Board of Directors. In addition to deep experience in IT security and cloud infrastructure, Mark led Menlo’s investment in Dropcam, one of the great consumer hardware products of the past decade. I was on the investment team at Menlo before starting eero with my co-founders Nate and Amos, and am looking forward to working closely with Mark and the rest of the Menlo team. Index Ventures also participated significantly in the round. Mike Volpi — who is on the board of Sonos — will be an invaluable partner. Prior to Index, Mike was Chief Strategy Officer at Cisco; he has years of experience both in the networking space and in building companies. Our existing investors — First Round Capital, Shasta Ventures, Redpoint Ventures, Playground Global, and others — all participated in the round as well. First and foremost, a continued commitment to making the eero systems you have in your homes better and better. Since launch, eeros have received constant software updates as we’ve made improvements to both our mesh software and cloud infrastructure. The updates have also included new features like the ability to manage multiple networks and support for networks with static IP. But there’s so much more that we want to do. Like your smartphone, we want eero to be something that you expect to get better with time — to become more than what it was when you opened the box. That’s the great thing about over-the-air software updates, something which traditional router manufacturers have rarely, if at all, implemented. The additional funding will allow eero to double down on R&D. We’ve got a lot in store for you in the coming months. The funding also means that we’ll continue to invest in our best-in-class customer support. We now have almost nonexistent call wait times and a support team of over 30 split between San Francisco and Austin. We spend a lot of time and effort on training, and the support team is really good. While eero is the simplest and most reliable WiFi solution on the market — most people set up in mere minutes — we’re always here to help you troubleshoot any unique setup your home might have. We’ll even get on a conference call with you and your Internet service provider (ISP) or another device manufacturer to address issues together. The funding will also be used to expand distribution — so that it’s easier for customers to discover and purchase eero. Beginning this week, you’ll be able to buy an eero WiFi System on BestBuy.com. This summer, eero will be for sale in over 500 Best Buy stores across the country. 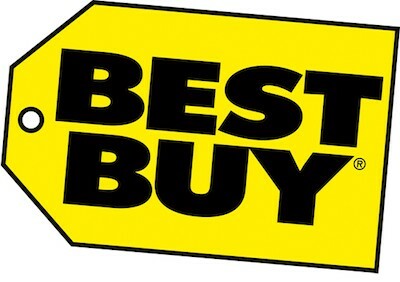 Best Buy is the largest electronics brick and mortar retailer in the U.S. and a leader in the connected home space. The company knows how mission-critical a fast, reliable WiFi signal is to making the rest of the connected products — from thermostats to iPads to light bulbs — work as advertised. eero means Best Buy customers will no longer have to worry that the new $1,500 WiFi-connected home theater or speaker system they just bought might not work due to bad WiFi. And we’re not stopping here. We have big ambitions to not only transform WiFi but also to reimagine the future of our increasingly connected homes. While it’s a big undertaking, it inspires us to invent and to dream. If you’re interested in joining us in our mission to elevate life at home, we’re always on the hunt for amazing, passionate people.